Initiative organizers say GOP keeps trying to kill compromise that halted earlier ballot drive. (Lennie Mahler | Tribune file photo) Rich McKeown, executive co-chairman of Count My Vote, re-launched that ballot seeking to select political party nominees only through a direct primary. He said that is needed because of continual attacks by right-wing Republicans against a compromise law that halted an earlier initiative. Count My Vote organizers are resurrecting their ballot drive to allow Utah voters to decide whether to select party nominees only through a direct primary, and dump the traditional caucus-convention system. Group leaders filed paperwork Wednesday with Lt. Gov. Spencer Cox to start the process to put the initiative on the 2018 ballot. They must gather more than 113,000 signatures to qualify, and say they have pledges of about $1 million to help that effort. “It’s time to let people decide how they want their elections run,” said Rich McKeown, executive co-chairman of Count My Vote. Other leaders of the group include former Gov. Mike Leavitt, Utah Jazz owner Gail Miller, Salt Lake County Mayor Ben McAdams and former Utah first lady Norma Matheson. Count My Vote contends the right and left wings of the Republican and Democratic parties have too much control of the caucus-convention system, and often nominate extreme candidates who are outside of the political mainstream. A direct primary, the group says, gives all people in the party a voice in the selection, not just a select few. Count My Vote pushed to place a similar initiative on the 2014 ballot — but pulled the plug when the Legislature negotiated and passed a compromise law, SB54, designed to at least partially preserve the caucus-convention system. The hybrid system allows candidates to qualify for a primary election by going through the convention or by gathering signatures. However, the Utah Republican Party claimed it was not included in negotiations, and sued to overturn SB54, contending the state could not tell it how to select its own nominees. The GOP lost lower court decisions, but the 10th Circuit Court of Appeals in Denver heard oral arguments in the case on Monday. Some Republicans lawmakers have attempted to overturn SB54 in the Legislature, although all such efforts have been defeated and Gov. Gary Herbert said this month he would veto any such bills. Certain county GOP parties sought to punish candidates who gathered signatures instead of relying solely on the caucus-convention system. All of that amounts to “a cumulative effort to kill or circumvent SB54,” McKeown said, which led Count My Vote to decide to re-launch the initiative. Taylor Morgan, executive director of Count My Vote, outlined several of its key provisions. With it, a direct primary would be the only way for political parties to choose nominees. To qualify to appear on the primary ballot, candidates would have to gather signatures amounting to 1 percent of the registered party voters living in the district for the office they seek. That could vastly reduce the number of signatures candidates must now gather to qualify for the ballot through SB54. For example, SB54 requires gathering 28,000 signatures for statewide office, such as governor or U.S. senator. The new initiative instead would require about 6,500 signatures for Republicans and 1,600 for Democrats (because that party has far fewer registered voters), according to Count My Vote data. In another example, the 4th Congressional District now requires gathering 7,000 signatures under SB54. The new initiative would require about 1,440 for Republicans and 465 for Democrats. SB54 requires 2,000 signatures for Utah Senate races and 1,000 for Utah House races. Count My Vote figures requirements could drop as low as perhaps 25 signatures for Democrats in some heavily GOP House districts where few Democrats are registered, and as high as 215 or so for Republicans in heavily GOP Senate districts. Morgan contends the current signature-gathering requirements are so tough they likely could have been declared unconstitutional if SB54 had not also allowed the alternative path to the ballot through party conventions. Under the initiative, If no candidate wins more than 35 percent of the vote in a primary — which is possible if races attract a large field of office seekers — a by-mail runoff election would be held between the top two finishers. SB54 has split Republicans. Moderates who like it quit donating to the party, worrying their donations would go to the court case fighting it. That, plus the legal battle, put the party in debt. 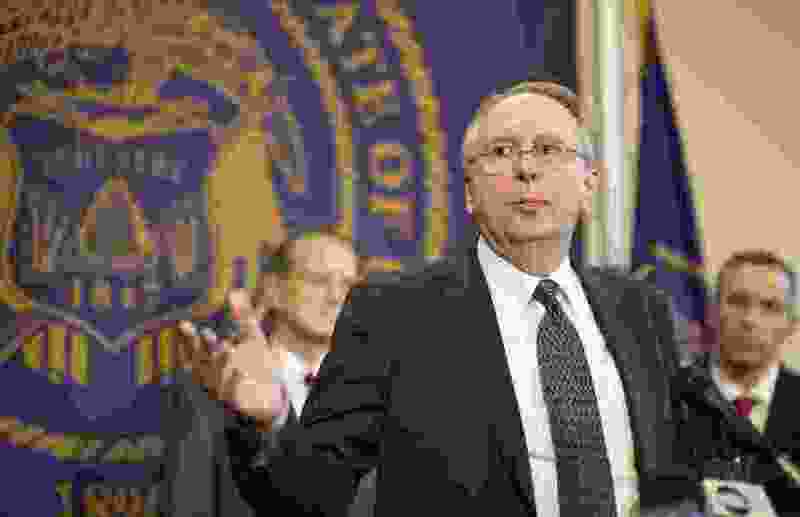 Polls also have long suggested the initiative would likely pass, including one last week by Utahpolicy.com that said 55 percent of Utahns back such an initiative, while 34 percent oppose it and 11 percent had no opinion. Because of such polls, newly elected Utah Republican Party Chairman Rob Anderson has argued the best way to protect the caucus-convention system and end party divisions would be to drop the ongoing lawsuit, and let SB54 stand. But the 180-member Republican Central Committee blocked debate earlier this month on a resolution to end the court battle. Don Guymon, a central committee member who is among leaders pushing to continue the lawsuit, blasts the new action by Count My Vote. “They are going back [on] the agreement they had with the Legislature” not to push the initiative if SB54 passed, Guymon said. He contends the GOP was not a party to those negotiations, and was not bound by any promises not to fight it. Guymon said a big advantage of the caucus-convention system is that it allows candidates without much money to have a real chance.